We are thrilled that 'The Pinnacle' was awarded the Best Climbing Film Award at 5th International Mountain Film Festival Domžale. 'The Pinnacle' was up against some great climbing films from Slovenia, the UK and around the world. "The winner of the Climbing Award shows that the spirit of climbing can best be expressed through a compliment, repeating routes done 50 years ago and appreciating that despite advances in equipment and technique, the challenge remains the same. 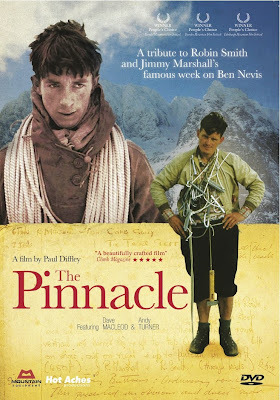 The British film THE PINNACLE shows the bonds of past and that they still remain at the heart of adventure." The Pinnacle is available on DVD and HD Download direct from our website. 'By the sleepy lagoon' (Eric Coates), the theme music to Desert Island Discs, why not enjoy this as you read. A student I taught at the Adventure Film Academy last year recently sent me a link to a climbing film he had completed and asked for my opinion. The piece was well shot and edited yet it failed to move me as a film. I was considering why that was when I came up with the idea for this blog. To me, the most important thing about film is emotion. As a filmmaker my job is to create films that generate emotion in the audience. In my opinion, for a film to be truly great it has to make you laugh and make you cry. In last seven years of attending mountain film festivals there have been only a few which have achieved this benchmark (e.g. Alone Across Australia, 20 Seconds of Joy, Solo: Lost at Sea, The Endless Knot, Touching the Void). I have to admit that I have yet to make such a film. 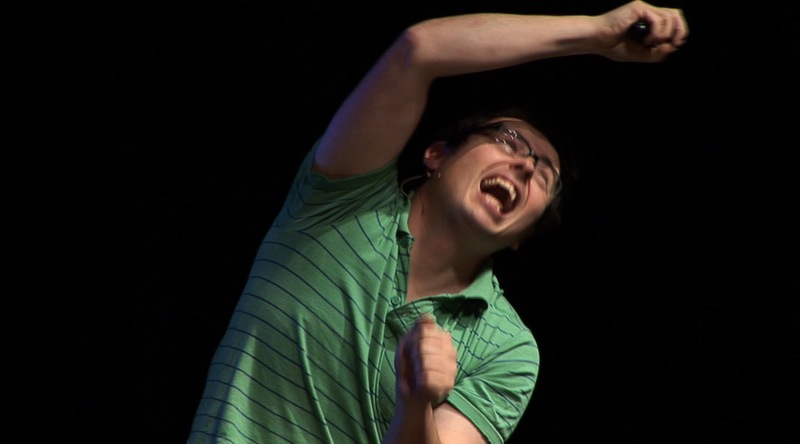 However, I feel sure I have created films that have generated emotion in audiences. As I continue to learn my craft I hope that I too can create a work that will generate a standing ovation from a tearful audience. The student’s film in question showed a climber making the first ascent of a route. When the climber topped out I felt no emotion. Why? Because I knew nothing about the climber or what this climb meant to him. I had watched him climb from the bottom to the top, but I had no connection with him. Don’t get me wrong, I love climbing films and I think film is great medium for telling stories about rock climbing and mountaineering. But what makes climbing films great and interesting is not the climbing action, but the climbers themselves. The reason Desert Island Discs is the longest-running factual programme in the history of radio is not because of the music it plays, but because the audience learns something about the guest. The show is about the person not the music, and in climbing films the film is about the climber, not the climbing.